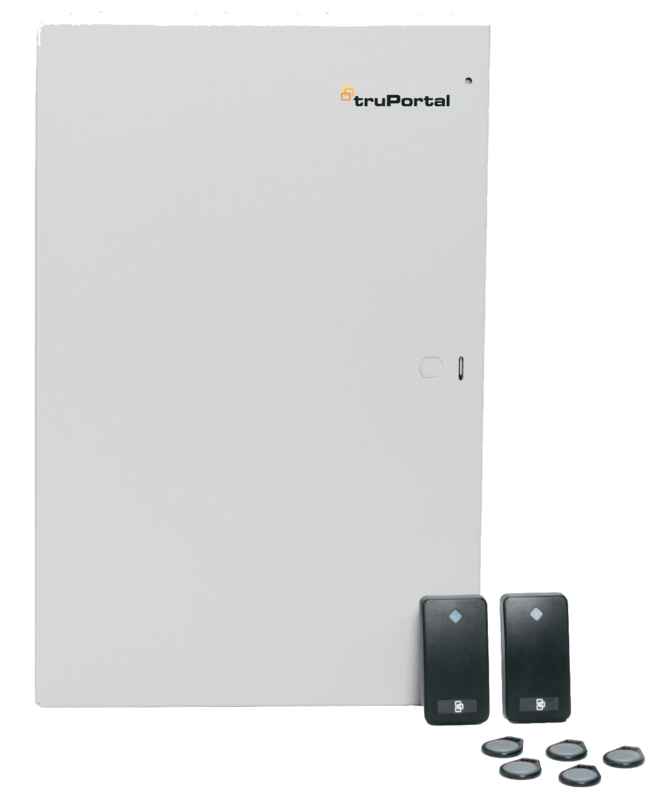 Stay relevant to your customers by introducing them to helpful, easy to use products such as the TruPortal 2-Door Base Kit by Interlogix! This kit consists of a TP-SYS-2D bundled with 2 readers, and 5 credentials. The browser-based interface makes TruPortal easy to use, so no specialized training is required, nor would users need additional software or licensing! Administrative tasks such as adding or deleting users can be done remotely on this system, thanks to the TruVision Mobile application for iOS® and Android ™ platforms. In addition, mobile users can also perform common commands and control functions such as viewing real-time or play-back videos, generating reports, and door commands, and it can all be done directly from a mobile phone! Furthermore, this door system can be integrated with TruVision recorders which would therefore provide analog and IP video, allowing for alarm tagging and in-browser video verification. The built-in wizards make end-user administration easy; it guides the administrator through setup screens, access levels, schedules, holidays, reader groups, and more! Permissions can be configured through multiple levels. Visit the Interlogix website to learn more about this product.